While most of us only consider designing the insides, value of a house could be successfully enhanced if the exteriors are also transformed and made visually appealing. Now this immensely challenging and time-consuming endeavour must be conducted with utter precision. In addition to mixing varied colours and materials as well as properly balancing the shape, we must also try installing a few attractive and functional structures. Want to know what are they? If yes, please do buy some time and go through the below-mentioned pointers. · Although fireplaces or fire pits might not be considered by many as a viable outdoor addition, they have lately managed to acquire widespread recognition especially in countries with a prolonged winter season. These could offer warmth, act as an extra entertainment space, increase the worth of a property, and is an excellent catalyst for profound conversations. · Imagine going to a beach and then entering the house with sand and salty water. Wouldn’t it be simply great to clean yourself outside and prevent all the mess? Well, outdoor bath houses or shower are noted for being extremely beneficial because they allow you to effectually preserve hardwood floor or your precious carpets. Let me assure that nothing could match the incredible relaxation one feels when enjoying shower outside with sun or the stars above head and tickling breeze in hair. 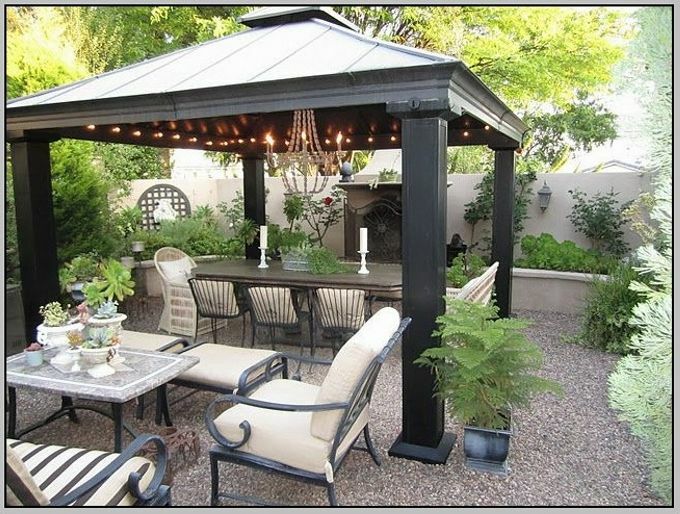 · Patios are a remarkable way of extending limited outdoor space. They remain adjoined to the concerned house and generally utilized for dining or other recreational purposes. If you have already installed a patio, consider decorating it with faux finishes, small pieces of furniture and accessories, colourful curtains, and beautiful lamps. · A greenhouse not only improves the entire ambiance but also enables you to convert your hobby of gardening into permanent passion. Owing to this particular structure, varied kinds plants, flowers, fruits, vegetables, etc. could be grown during all seasons without having to worry about harmful sun rays or adverse weather conditions. Moreover, it is an amazing space to store gardening equipment and other supplies. · Pergola could spice up almost any boring landscape and within a stipulated time period. It could be loosely defined as an outdoor structure with beams or lattices on top and supported by columns on side. It is lately high on demand because apart from offering shade and blocking out unpleasant views, pergolas could be used for hanging plants. · A large number of individuals believe that adding a deck to their home is an amazing idea. With a sleek design, this particular structure could increase the aesthetic appeal altogether, provides extra space where potted plants, furniture, grill, etc. could be kept, and is great for arranging parties or entertaining guests. Now installing decks would not be enough as one needs to maintain them. Deck stainingis a brilliant solution through which appearance is improved, moisture alleviated, and rot or infestation prevented. Now that you are aware of the major outdoor structures, please do get at least one of them to enhance the exteriors.